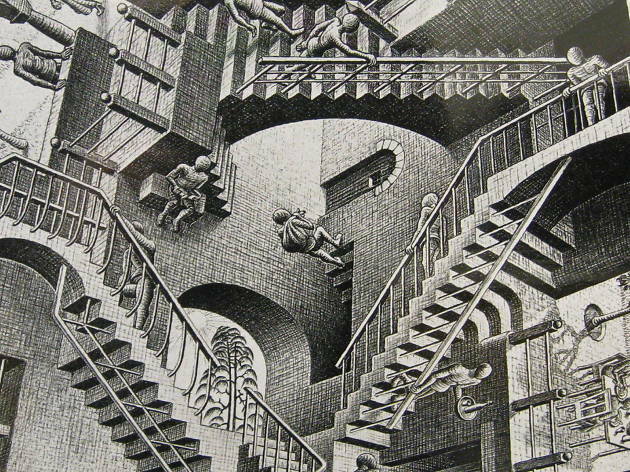 Staircases that have no beginning and no end, impossible rooms, surreal perspectives... 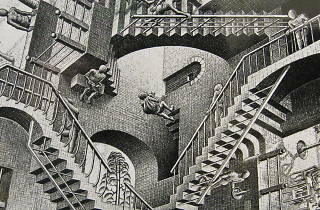 The dream universe created by Dutch artist Maurits Cornelis Escher comes to madrid in one of the most anticipated exhibitions of the year. Organised by the Arthemisia Group, headquartered in the Gaviria Palace, and The M.C. Escher Foundation, the show brings some 200 works to the Spanish capital, including the famous 'Hand with Reflecting Sphere', 'Relativity' and 'Belvedere'. Not only that, the exhibition is also accompanied by scientific experiments, games areas, and more educational resources to plung visitors further into the bewildering images and unique realities of this extraordinary artist.